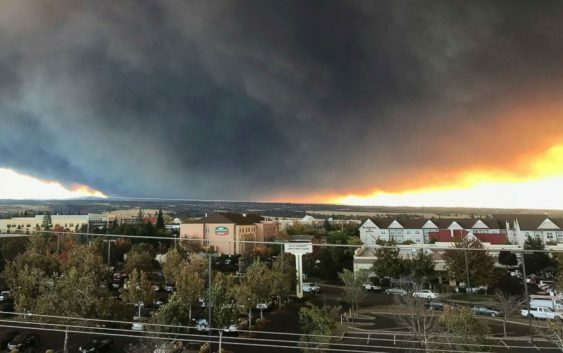 The blaze is concentrated in the Feather River Canyon off Highway 70 in Pugla, a town about 50 miles east of Chico, the California Department of Forestry and Fire Protection announced on Twitter. The entire town of Paradise was under evacuation as several homes in the area became engulfed in the fire, Cal Fire Public Information Officer Scott McClean said at a press conference Thursday. 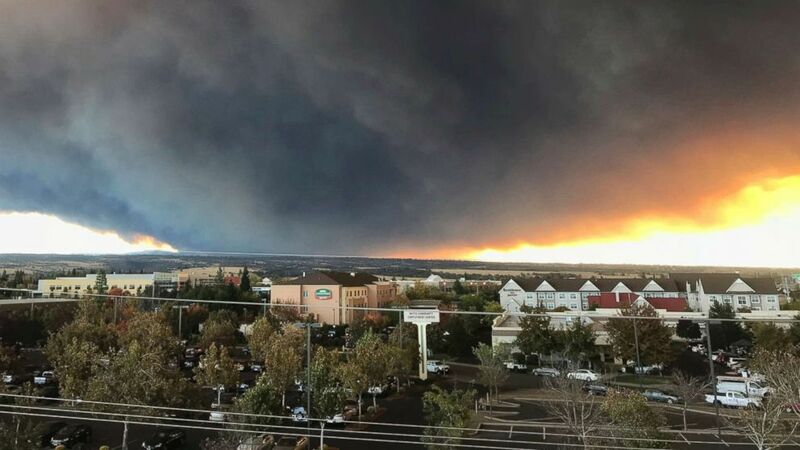 The blaze surrounded the Feather River Hospital, causing hospital staff to evacuate patients via life flight and search and rescue teams, McClean said. 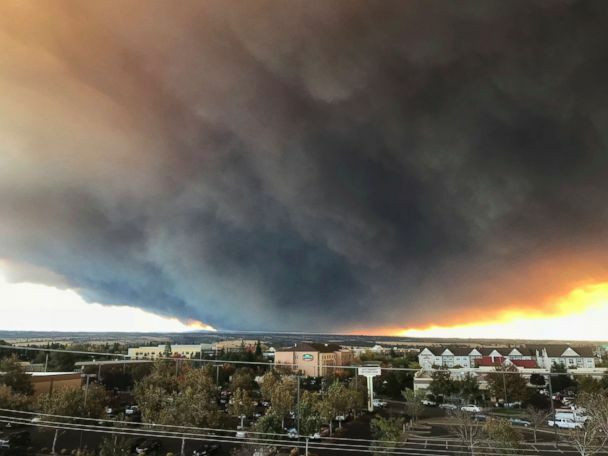 Video footage taken by ABC Redding affiliate KRCR showed the hospital surrounded by thick smoke as the fire illuminated the darkened sky in the background. Fire officials characterized the inferno as explosive. “It’s the black of night at 9 a.m.,” McClean said. Weather forecasts showed numerous red flag warnings and wind alerts in the area Thursday into Friday. The fire was spreading at a rapid rate after it sparked around 6:30 a.m., expanding from 1,000 to 18,000 acres in a matter of hours. Aerial footage showed giants plumes of smoke rise from a wooded landscape.